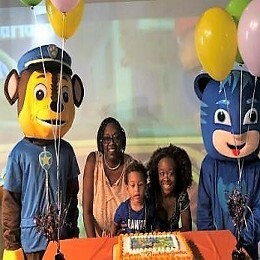 Chase is on the case at our PAW Patrol birthday party, and the team is ready for action! Welcome to Adventure Bay at Kids Kustom Parties in Palatine, IL. Your birthday VIP will delight in our magical world. We offer three kid’s birthday party packages to fit your child’s imagination and your budget. 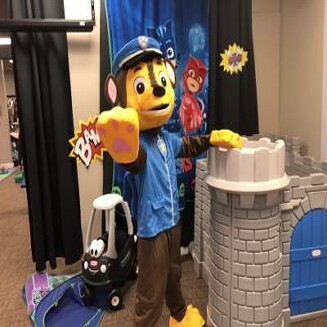 Chase and one other character will entertain your child and guests with our standard gold package. Our gold package also includes airbrush tattoos, hair styling, and nails for all the guests—because every pup needs to be well groomed. Our photo package is also included in the gold package. If you prefer to have a home party, “Just yelp for help!” Chase can cruise to your adventure. 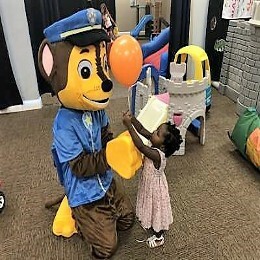 Learn more about kids party characters that come to your venue. For an additional fee and more kids entertainment, balloon artists, jugglers, or face painters can also entertain your party guests at any party. Your guests can also enjoy our popcorn machine or snow cone maker for an additional fee or a swap item. PAW Patrol is a Canadian series produced by Spin Master Entertainment. 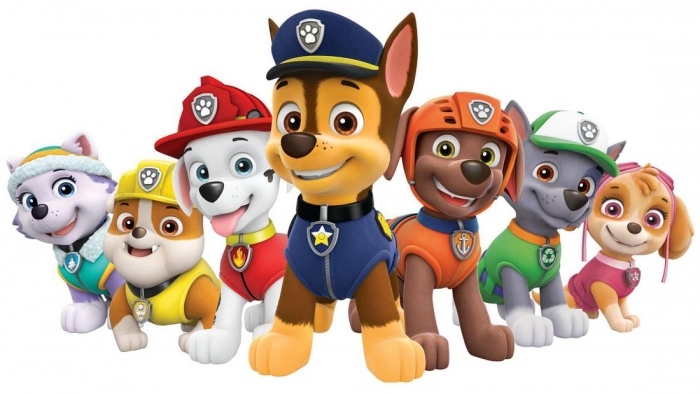 Nickelodeon introduced PAW Patrol to the United States in 2013. Keith Chapman, the creator of Bob the Builder, proposed the story idea and sketched the original designs for the PAW Patrol.